The upcoming transcendental August 2017 Total Solar Eclipse is the first to happen in the contiguous U.S. since 1979. And the next one to happen is not until 2024. It’s safe to say that this upcoming eclipse is a once in a lifetime opportunity. From a technology standpoint, think of all that has happened from a technology standpoint since 1979. Cell phones had just been invented but weren’t commercially viable until the mid-1990s. The first personal computers were introduced in 1975 but, like mobile phones, weren’t widely used by consumers until the 1990’s. And it wasn’t until the 1990’s that the World Wide Web changed how we communicate and exchange information. And when considering the smartphones, smart tablets and other devices we take for granted today. These did not exist until the introduction of the first iPhone in 2007 – a brief 10 years ago. Now the average person spends 5 hours on their smart phone alone per day. So, it makes sense that virtually everyone has a smartphone or other smart devices (iPads, etc.) will want to use them to image the eclipse. 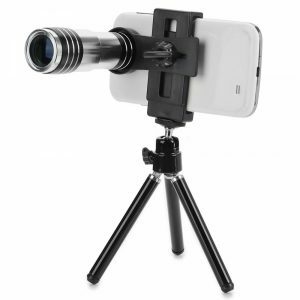 These devices that offer the ability to take images, video and even time-lapse video. However, doing so can be dangerous to you and your phone. Imaging the Sun with your smart device without any additional filtering could damage the device. You might find opinions that differ on this subject, but these devices were not intended to image the Sun and, like cameras, telescopes, binoculars, etc., they should only be used when outfitted with the proper filtering. We have provided a couple of resources to help you safely use your smart device for the eclipse. We don’t cover apps in these two resources, they are specifically for imaging the eclipse with your phone. First, check out our article – Using a Smartphone to Photograph the 2017 Total Solar Eclipse. In the article, we cover a variety of options you have for imaging, streaming live video and more during the solar eclipse. 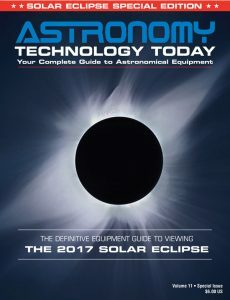 We also have published a solar eclipse equipment guide – The Definitive Equipment Guide to the 2017 Solar Eclipse. Our goal with the 40-page publication is to provide an easy-to-consume introduction to the technological options for viewing and imaging the Great Solar Eclipse. In addition to using your smart phone or other smart device during the eclipse, we cover the gamut of options available including building your own solar viewer, solar glasses, using DSLR cameras, using astronomy telescopes, solar telescopes, using binoculars, solar filters (including a DYI filter option), CCD astro cameras, astro video cameras, webcams and much more. You can view the guide on our website here – its free and there is no requirement to sign up to read the guide.